It has been considered a point of duty by every continent, nation, and society, to invest, and work more on their education sector, why? Because this is a point of development for any nation to strife and competes globally and favorably with other counterparts in the international attendance. More also, there is some aspect of education concerned with infrastructural development, architectural development and in terms of devices, computer gadgets etc., in this write up we will be looking and opening our mind on the best Engineering Universities in Africa. It is a known fact that no nation is a monopoly of knowledge and education, this will bring us to critically adjust and reset our lens in considering the best University in terms of standard and result achieved since the commencement of the Centre of learning. Engineering as a type of discipline entails the branch of science and technology that is solely concerned with the building, design and also with the use of structures, engines and machines. It is a creative application of science, machines, organizations, materials, mathematical methods, design, maintenance of structures, systems, operation, empirical evidence to bring about innovation, construction, devices, and processes to solving problems in the real world. Civil Engineering, Mining Engineering, Computer Science Engineering, Electrical Engineering, Metallurgical Engineering, Chemical Engineering, Mechanical Engineering, Biochemical Engineering and others are all branches of engineering. University of Cape Town, Stellenbosch University, Cairo University, University of Pretoria, University of The Witwatersrand, University of Kwazulu-Natal, University of Nairobi, American University in Cairo, University of South African and then Mansoura University are all the best top engineering universities in Africa. This is a government research base university that is located in the Cape Town inside the Western Cape Province of South Africa. In term of communication and instructional process. The English language is the language instruction of the institution compare to some institution that encourages local language so as to enable students to comprehend what they are being thought. It is the number one best engineering university in Africa as published by the Academic Ranking of World Universities, The QS World University Rankings and the Times Higher Education world university Rankings. It was established in 1829 as the South African College but received a full university status in 1918. The University of Cape Town is the oldest higher education institute in South Africa and in sub- Sahara Africa, it is the oldest extant university. Stellenbosch, a town in the Western Cape Province of South Africa is where a Stellenbosch University which is a public research base institution situated. Because the university received its full university status as far back as 1918, the institution is one of the oldest university in South Africa. According to the 2017-2018 QS world university Rankings, it is the second highest ranked African Engineering University. Berlin Declaration on Open Access to Knowledge in the sciences and Humanities was first signed by the Stellenbosch University. It has two sub-urban and two urban campuses. “Maties” is the nickname given to the students of this institution. 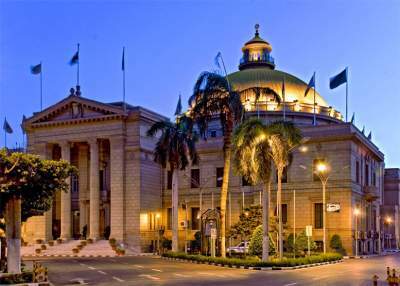 Cairo University is one of the fifty largest universities of a higher education globally by enrollment. This institution was renamed for a second time after the Free Officer’s Coup of 1952 after the death of the King Feud four years later. In the year 1952, the university became the state university under the King Faud. It has twenty-two faculties with approximately 155,000 students enrolled in them. 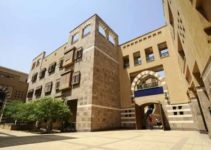 This university is the Egyptian’s Premier government institution which has its main campus in Giza, a town immediately across the Nile from Cairo. It was founded on 21st December 1908 by a committee of private citizens with a royal patronage who also funded it. This institution is commonly referred to as TUKS, UP or TUKKIES. It has nine faculties and a business school. It also has seven suburban campuses and facilities as well. It was formed as a public university on 4th March. 1908 and located in Pretoria, Gauteng, South Africa. This is the third oldest South African institution that is follow suiting Stellenbosch university that was founded in 1896 and The University of Cape Town founded in 1829. The South African School of Mines located in Kimberley founded this university in 1896. It is commonly known as Wits or Wit University due to its roots in the mining industry. Several notable black leaders have graduated from this university though there was an extension of University Education Act forced to restrict registrations of Black students in 1959. It was established on 1st January 2004 with Mogoeng Mogoeng as its chancellor and Dr. Albert Van Jaarsveld as the vice chancellor. It has five campuses and it is located in Durban, Westville, Pinetown and in Pietermaritzburg KwaZulu-Natal, South Africa. The University of Natal and The University of Durban-West vile merged together to form the University of KwaZulu-Natal. This is one of the largest universities in Kenya, Nairobi that is a collegiate research-based university. UNINAITOBI became an independent institution of learning in the year 1970 as at when the University of East Africa was split into three independent universities which are The University of The University of Nairobi, Dar es Salaam in Tanzania, and the Makerere University in Uganda. In order to cope with the rising demand for higher education in Kenya, the university launched several policy frameworks and an introduction of self-funded enrolment. The center where this university is located is very close to public transportation bus stops and it is very close to shopping areas and the students’ apartments. It is a residential townhouse and has good security guards. This university was established on 26th June 1873. It offers both the vocational and academic programs that have received an international accreditation and an extensive geographical footprint which makes its graduates employability and recognizable. It is an institution that is open to a distance education university. Its former name of this University is University of the Cape of Good Hope. It is the largest university in South Africa and in Africa. This University is located in the middle of the area close to Nile river and it is one of the largest Egyptian’s institutions which has contributed both the scientific and cultural life in Egypt and in Mansoura. The institution was established in 1972 inside Mansoura city, Egypt. It is established as the public institution. Taking a deep look at the aforementioned universities that offers the best Engineering courses in the coast of Africa countries, these Universities are spectacular in the courses they offer, number of Engineer they have graduated, the total number of students doing well outside the wall of these Universities, has make this universities be one of the Universities discussed earlier. Moreover, there are other best universities that offer the best courses and produced best students in a different field of life. It can be generalized from these write up that these best Engineering universities in Africa are truly worthy to be on the list as published by webometrics and others. Therefore, any aspiring engineering students should strive to be admitted into one of these universities for his or her quality education to stand a ground of employability from an employer and be able to stand erect on their feet to defend their certificate. It has been considered a point of duty by every continent, nation, and society, to invest, and work more on their education sector, why? Because this is a point of development for any nation to strife and competes globally and favorably with other counterparts in the international attendance. More also, there is some aspect of education concerned with infrastructural development, architectural development and in terms of devices, computer gadgets etc., in this write up we will be looking and opening our mind on the best Engineering Universities in Africa.